Comments: Leaves are mottled with white creamy white. Has reddish bronze leaves in winter, which are subject to wind burn in exposed areas. 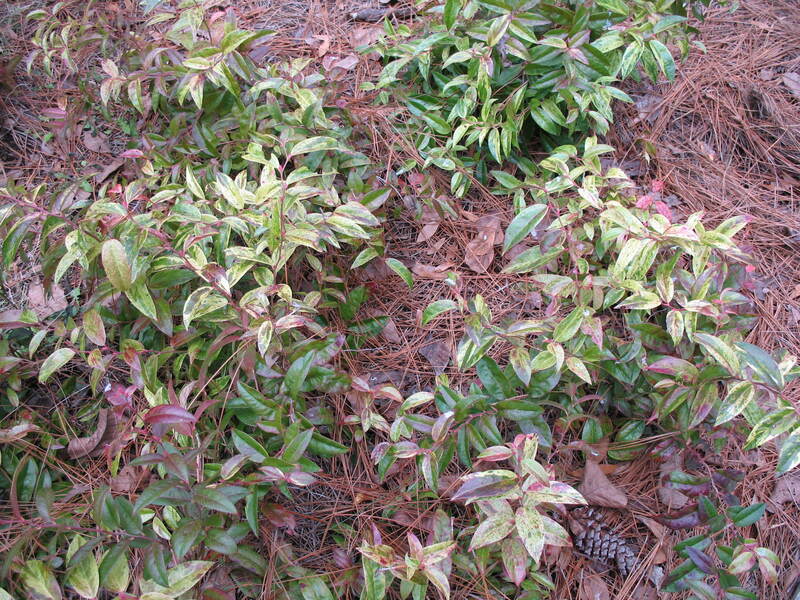 Old plants may be rejuvenated by pruning to ground in spring.